The Range Rover Sport – agile, dynamic, comfortable, well built, good off-road and yet cruises effortlessly down a motorway. 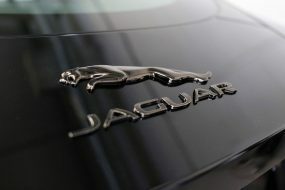 Popular with the car buying public since its launch, the ‘Sport’ and has built up a steady following. The all-new 2014 model features an enhanced, more ‘assertive’ driving position and a cockpit focussed around the driver, so everything a driver needs is at his or her fingertips. 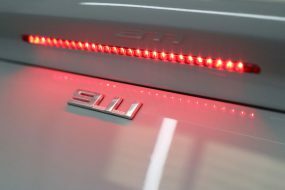 The all-aluminium chassis makes the car stronger, so it’s better for handling and for safety, as well as lighter to allow for better fuel efficiency and performance. 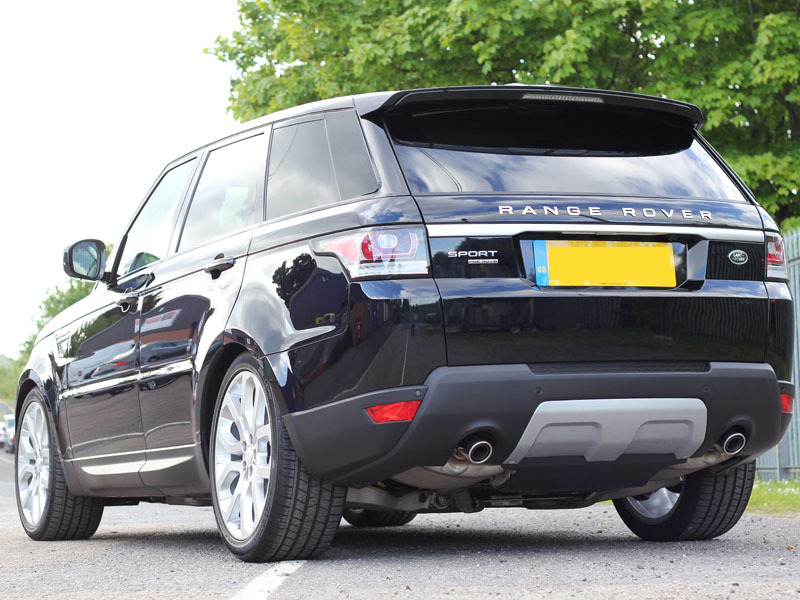 It’s really no surprise the Range Rover Sport was voted ‘Best Large SUV 2014’ by judges at What Car? magazine! 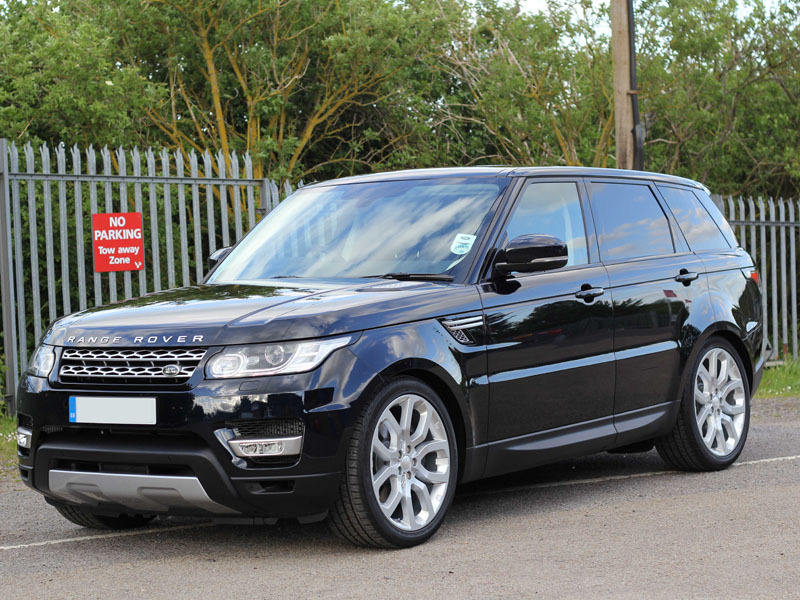 As an expansive and expensive piece of road-going real estate, the sensible option on buying a brand new Range Rover Sport, is to have it protected, right from the start. 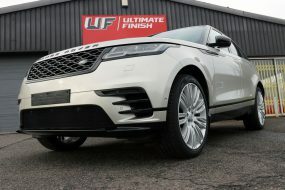 The latest Range Rover Sport booked in to the Ultimate Detailing Studio was a brand new purchase for our customer, who brought it in having driven around 800 miles. 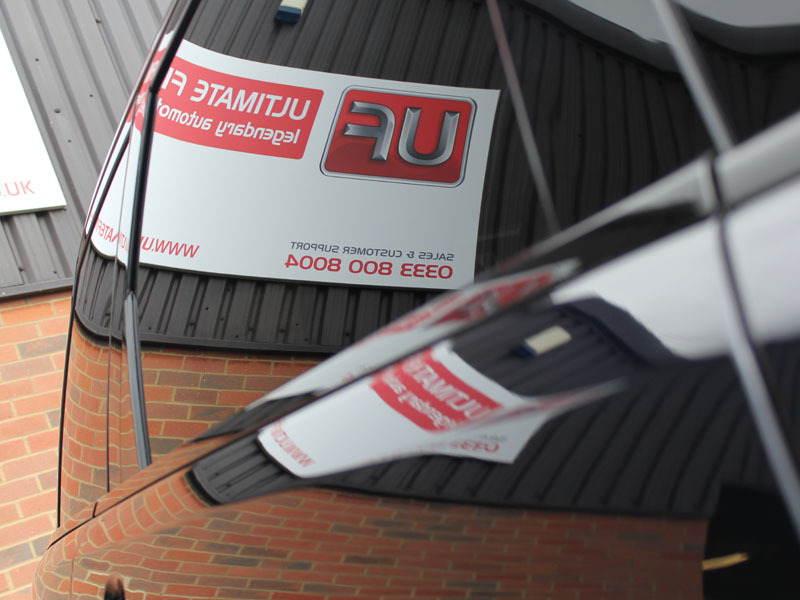 Beginning with decontamination and degreasing, the Range Rover was first treated with Bilt-Hamber Korrosol to remove any bonded inorganic contamination from the bodywork and wheels. Korrosol has a colour-change function, changing to a purple-red when in contact with contamination. This makes it easy to spot when it’s working. 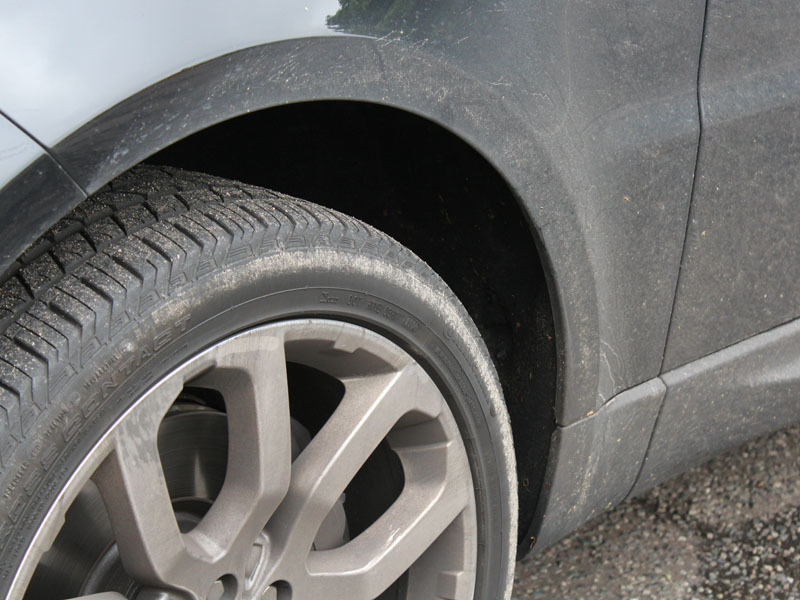 Having allowed it to dwell for a while the Korrosol was rinsed off before Surfex HD was sprayed over the car, including under wheel arches and on to bonnet, boot and door shuts for a thorough degreasing. 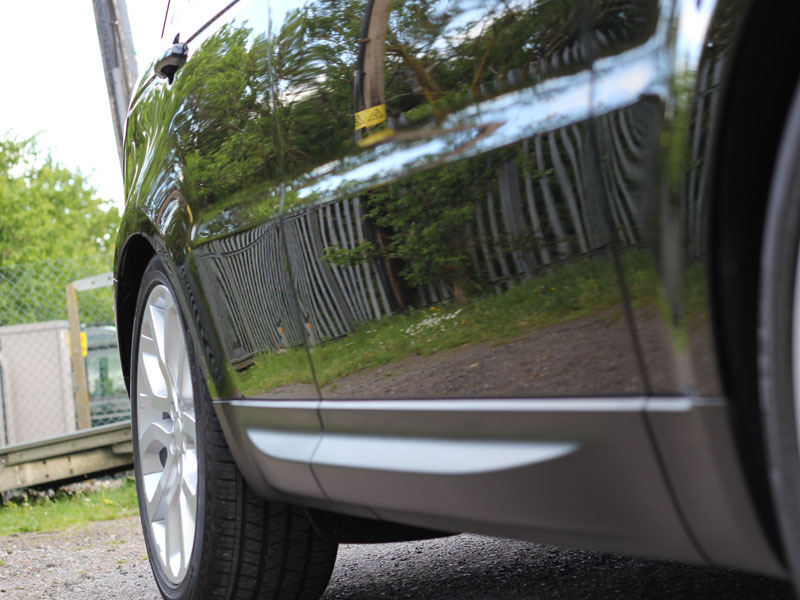 The wheels were cleaned using Valet PRO Bilberry Wheel Cleaner. 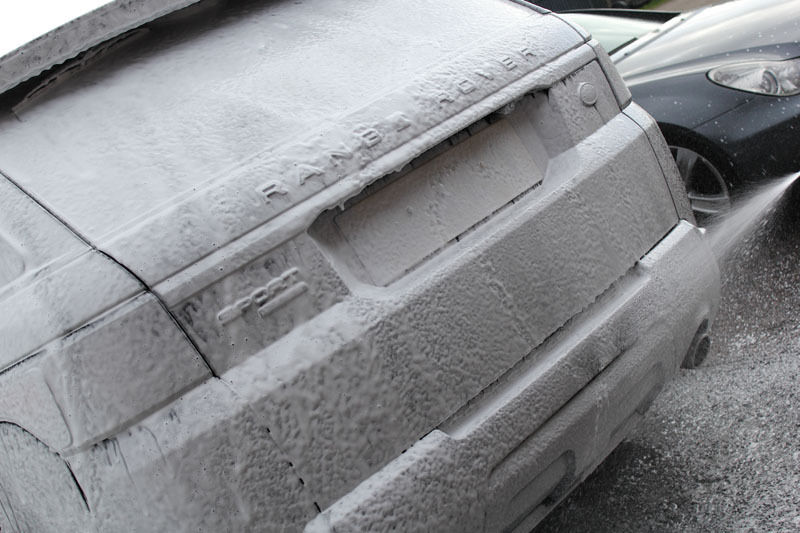 The Range Rover was then treated with Ultimate Snow Foam, to lift the larger particles of dirt away from the surface of the paintwork. 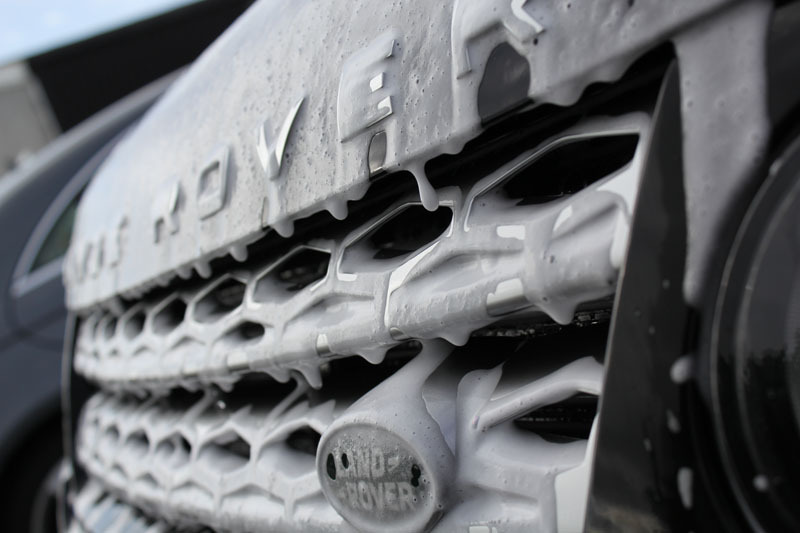 Finally, the Range Rover was washed using the Two Bucket Method, a Microfibre Madness Incredimitt and Dodo Juice Born to Be Mild Shampoo. 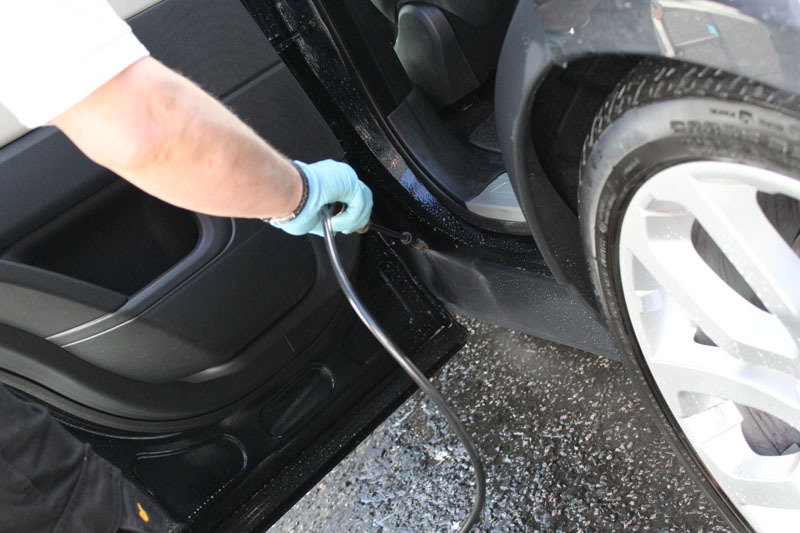 Then having rinsed the suds away, the car was given a final rinse using an Aqua Gleam De-Ionising Water Filter. These innovative products remove the impurities in water which cause water spot marks and also help impart a natural sparkle on the paint. 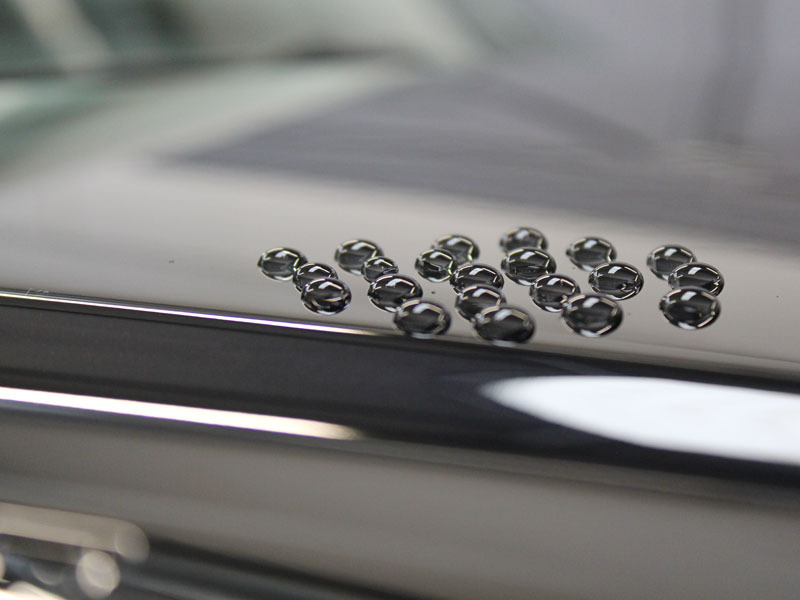 Using a FLEX PE14-2-150 with a 3M Perfect III Black High Gloss Polishing Pad and SCHOLL Concepts S40 Anti-Swirl Compound the bodywork was refined to leave a high gloss finish, free from swirl marks. 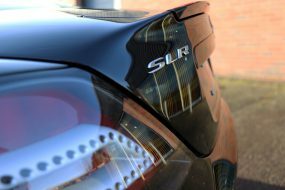 Once perfected the paintwork, wheels and trim were cleansed using Panel Wipe, a cleaner which removes all traces of polish residue to leave the surface completely bare. This allows the sealant to form the maximum number of bonds with the paint, ensuring maximum performance and durability. 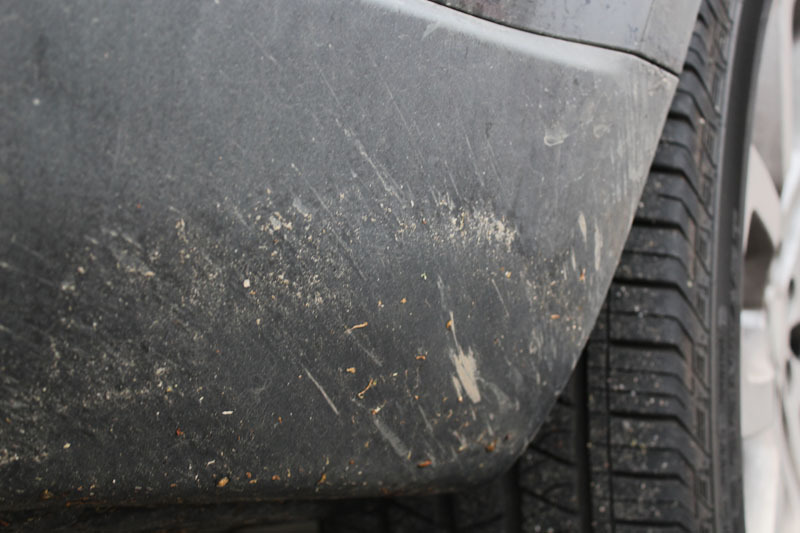 Once residue-free, Gtechniq Crystal Serum was applied to the bodywork. 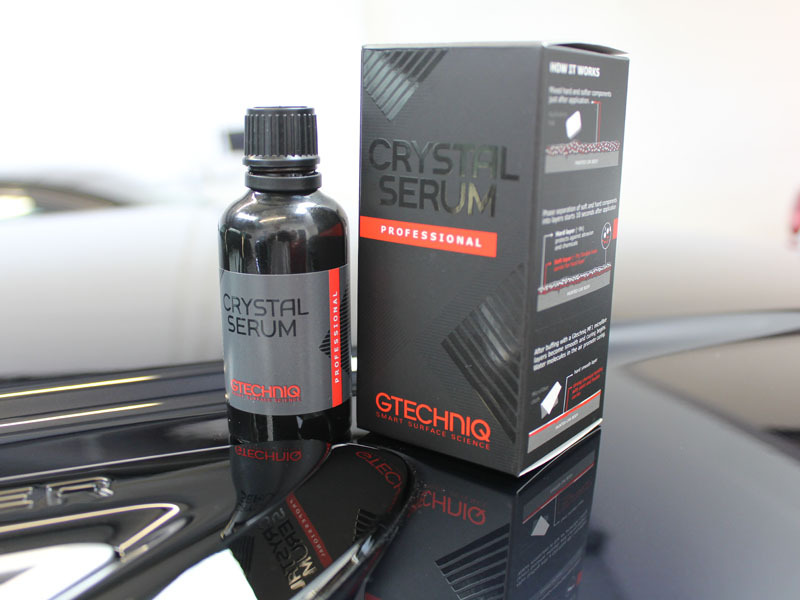 Crystal Serum is only available through the Gtechniq Accredited Network as it is suitable only for professional application. 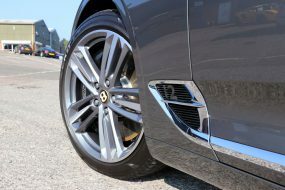 To protect the wheels from brake dust adhesion, road grime build up and tar spots, Gtechniq C5 Alloy Wheel Armour was applied. Then C4 Permanent Trim Restorer was applied to the exterior trim to prevent fading from UV rays. The windows were sealed with Gtechniq G1 ClearVision Smart Glass, a water repelling coating which encourages dirty rain water to bead and blow away, making driving in bad weather conditions less tiring. 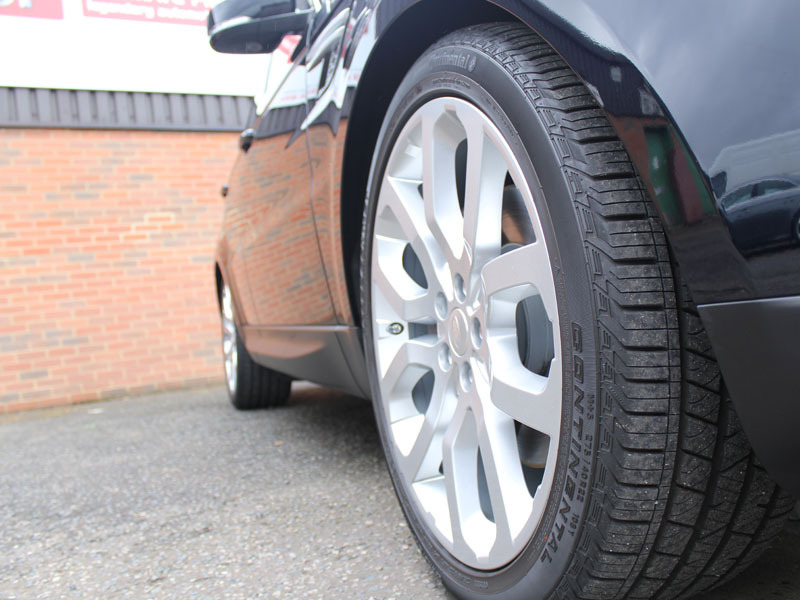 The tyres were dressed using Swissvax Pneu to leave a natural satin sheen. It wasn’t raining when the customer collected his Range Rover Sport, so he could see the perfected, protected result in the sunshine. He drove away very happy!